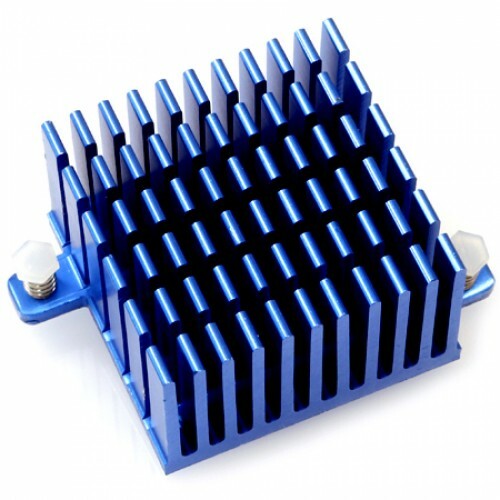 This heatsink might be useful for who needs a low noise solution with ODROID-XU4. The stock active cooler mounted on the XU4 is more efficient at dissipating heat away from the processor for most of use cases. But if you need a fan-less quiet system, this tall heatsink could be a solution. You can replace the active cooling fan with this passive heatsink. Down the max CPU clock of the XU4 to 1.4GHz if your system gets thermal throttling often. - Package includes a thermal paste tube. The thermal paste is responsible for conducting heat from the processor to the heat sink. Reassembling without applying thermal paste will cause the processor to overheat.